Two of the best ways to make money from home is to help people save money or time. With a coupon or daily deal site, you can do both. Although the Internet is littered with savings sites, if you can find your niche and provide a great service, you can do well. 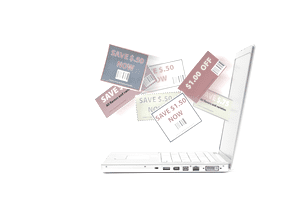 Here are tips to starting your own coupon or daily deal site. Affordable to start. All you need is a web host and domain name to start building your site. The programs you'll use to offer coupons are usually free to join. Quick to set up. Using a blog platform such as WordPress, you can have the foundation of a coupon site up in a matter of hours. Flexible to run. You can manage a coupon or daily deal site any time and anywhere. You can run it around a job or raising children, or while you're traveling the world. Save big. Because you're getting deals early, you can save on your own purchases. Large market. Everyone likes to save money, so your business would have wide appeal. It's time consuming. This is not a passive income venture. People are looking for the latest coupons and deals every day, so you need to have new opportunities posted everyday or even several times a say. If you're ready to make money helping others save money, here's how to get started with a coupon and daily deal site. 1. Decide what you want to offer. Coupon sites offer coupons or resources for coupons whereas daily deals offer deals for a product or service. Running a coupon site allows you to use affiliate or aggregator sources and pays a percentage. Daily deals, especially those you negotiate yourself, can pay up to 50%. It is possible to have a site that offers both. Today, it’s too difficult to become a generalist, especially in the competitive coupon and daily deal market. Instead, pick a market you want to cater too. For example, you can provide health, wellness and fitness coupons or deals. Or focus on baby product deals. 3. Set up your business. Decide your business structure, create a business name and get a business license as required by your city or county. Before registering your business name, make sure it’s available as a website domain. Also check that the name isn't already taken or tradmarked. It’s easy for a website to get unwieldy without a plan. Your goal is to create a website that is easy for your visitors to use. That includes clean layout and clear navigation. 5. Buy your domain name and web hosting. Don’t try to scrimp and save by using a free web host or by not having a domain name. It looks unprofessional and they have limitations that can inhibit your success. For less than $100 you can buy a domain name and a year’s worth of hosting. Consider getting coupon on daily deal website templates to make your job easier. For example, if you build your website on WordPress, you can get a coupon or daily deal related theme. Remember, your goal is to create an easy to use site that makes money, so avoid too many bells and whistles that can distract your visitor or slow your site down. Don’t forget to add a privacy statement and policies for both customers and businesses. And be sure your website is responsive as more and more people are using their phones and tables to seek deals. While you want to offer your coupons and information for free, part of what makes the programs successful is a membership or targeted list. The easiest way is to have an email list. An email list will significantly increase the use of your coupons and deals. This allows you to email special offers and deals to your list and helps you build credibility with coupon and deal sources. 8. Sign up for coupon and daily deal programs. Also, many coupon and savings apps, such as Ibotta, Ebates, and Swagbucks, offer referral payments, making them ideal resources to recommend to your readers. 9. Negotiate your own deals. There’s no rule that says you can’t approach businesses to work with them on a daily deal. The trick is to have good traffic to your website and a sizable email list so you can ensure the business will have results. Entrepreneur.com has a great article on what to avoid and how to keep your business partners happy when doing a daily deal. There’s no business without marketing. Just because you offer free stuff to a hungry market doesn’t mean they’ll find you, especially since there are a lot of other coupon and deal sites online. Search engines can help, but don’t expect them to do all the heavy lifting. Develop an online marketing plan to reach your target market. Use social media, such as Facebook, Twitter, and Instagram to share your deals. Don’t forget to consider off-line marketing strategies as well. People like to save money, and they use the Internet to help them find the best deals. You can be a valuable resource for this market by creating an easy to use coupon or deal-of-the-day website. How Do You Start a Fulfillment by Amazon Home Business? Scammed! What to do if you are the victim of a work-at-home scam.